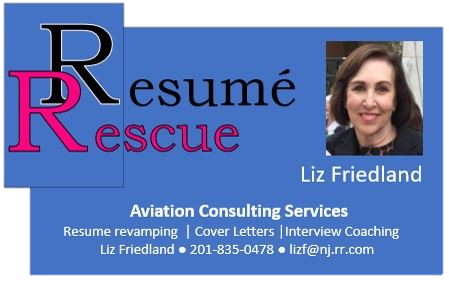 Resume services provided by former aviation recruiter, Liz Friedland. Don't let your resume hold you back! First impressions count.